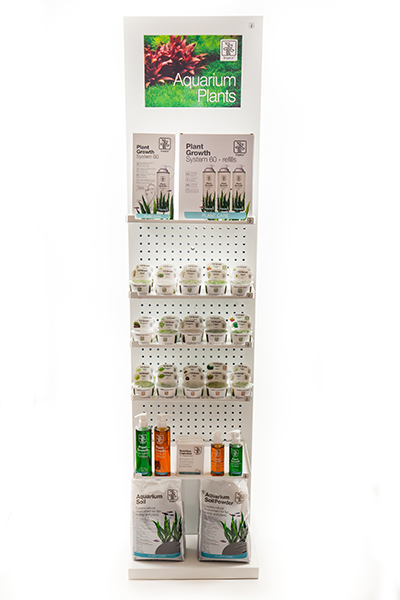 Get the full line of tissue cultured plants, planted aquarium substrates and fertilizers, CO2 system, and aquarium plant tools. Maybe you’ve decided to set up a planted tank and are trying to figure out where to start. Segrest Farms has you covered with Tropica® Aquarium Plants. As with all plants, the Tropica® system starts with the substrate. With two different grain sizes in both 3 and 9 Liter bags, you can be prepared for any size plants and aquarium you choose. With the Tropica scissors and tweezers, specially designed for easy underwater planting and pruning, you can easily work with any of the full line of tissue cultured plants. We offer dozens of plant varieties covering all difficulty and light levels to fit into any aquascape role. And because they are tissue cultured, you can be comfortable knowing they are free of pests and disease. Once planted, the fertilizer and CO2 systems will allow you to maximize your plant growth and create the aquatic showcase you’ve always wanted.